Here at We Love Colors, we’re incredibly grateful for the ability to see in color. All the hues, saturation, and shades that fill our world and make them incredibly more interesting, fun, and passionate. Something we don’t always realize on a conscious level is the way that different colors (and color combinations) affect us in a subconscious way – but they totally do! It’s fascinating. Every so often, we’ll be popping in here on the Friends Blog to dive into the psychology of a specific color as we explore the way colors can affect our moods, decisions, and more! 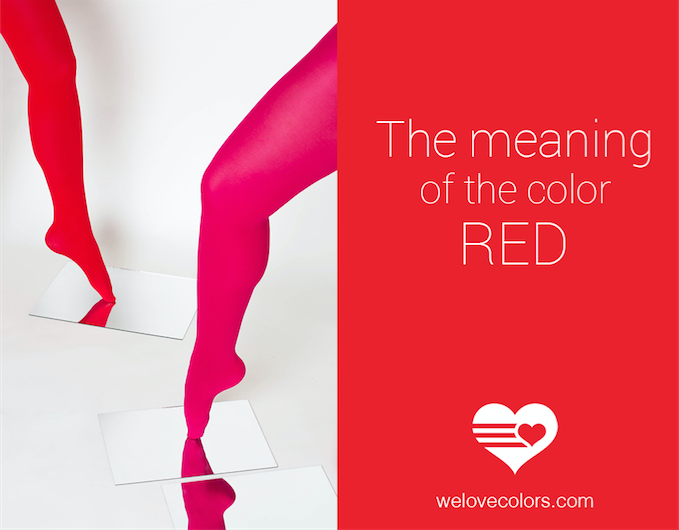 Today we’re going to talk about the meaning and psychology of the color red! Red is the beginning of the rainbow we know and love. It’s the first chakra color. It’s easy to find in our daily lives. 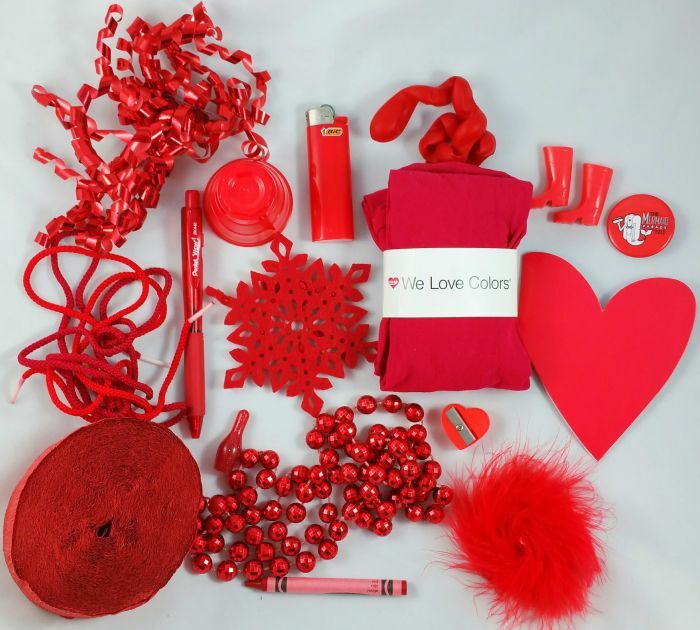 Red is one of the bolder colors on the spectrum. And while it, like all colors, comes in many shades and hues, today we’re just talking about the general run-of-the-mill basic red. 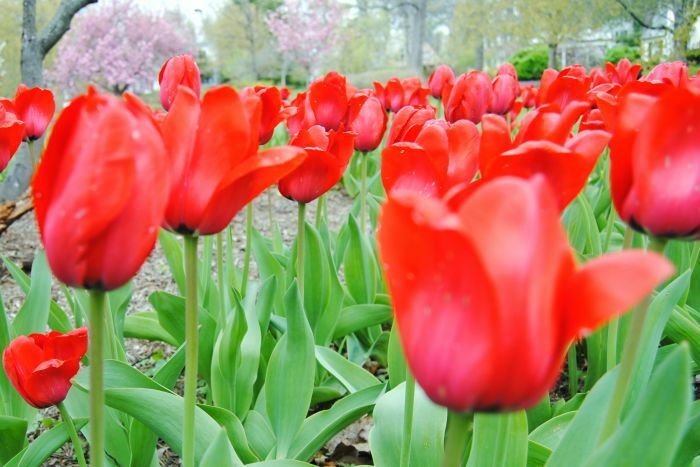 Red is globally regarded as a dynamic and passionate color. It’s also a huge stimulant; it increases our energy. Moods associated with red: Enthusiasm, confidence, action-oriented, excitement, strong-will, anger, irritation, aggression, impulsivity, alertness. Topics and themes associated with red: Passion, love, masculinity, war, speed, power, strength, determination, warmth, survival, danger, dominance, fear, attention, temper, rebellion, violence, desire, achievement. Physical effects of red: Increases blood pressure, heartbeat, pulse rate, increased libido, increased appetite, increase metabolism, faster breathing. Uses of red in business/marketing: Generally used to illicit passion (but be careful because that passion can be one of either love or hate); increases appetite (especially when combined with yellow; think about your favorite fast food restaurants’ color themes); draw attention to something on a website; cultivate a sense of fear or danger. Cultural meanings of red: Red is good luck in China; commonly used in wedding gowns in India; symbolizes joy in Singapore; associated with mourning in South Africa; strongly associated with Valentine’s Day; losing money if you’re “in the red” on Wall Street. What it means if your favorite color is red: You might be extroverted, bold, in touch with your physical senses, impulsive, confident, the center of attention, a hard worker, adventurous, risk-taking. What it means if your aura is red: You might be individualistic, passionate, full of energy, egotistical, angry, anxious, good at surviving, easily bored, competitive. Red is good for: Expressing love, drawing attention to something, making someone hungry. Red is bad for: Cars (studies show increased amount of tickets), a baby’s room, calming someone down, marketing in medical professions/businesses. Names of other shades of red: Magenta, crimson, wine, ruby, burgundy, fire engine, maroon, scarlet. Is red your favorite color? Tell us how it makes you feel below! And be sure to check out all the red products you can get on our site!